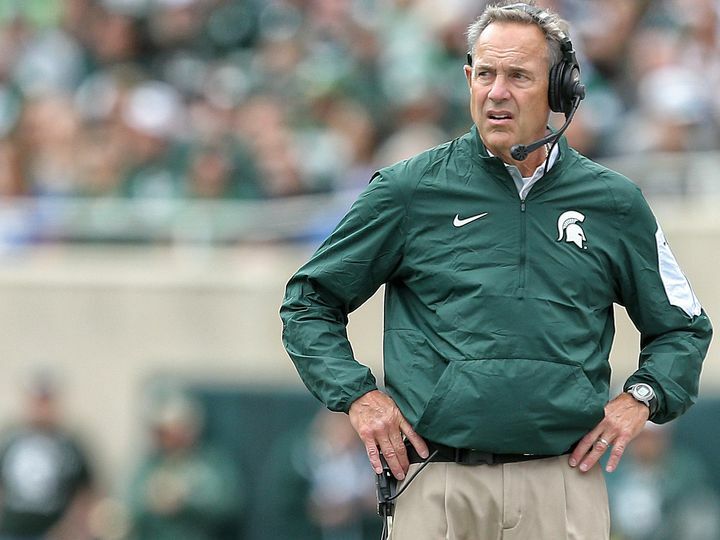 Shirts With Random Triangles: Mark Dantonio Will Have None Of Your Speculation Of His Leaving Michigan St. For South Carolina. Dantonio graduated from South Carolina, and played defensive back in 1976-1978, so his name coming up when it came to the open coaching position at South Carolina. With the Spartans getting ready to face in-state rival Michigan this Saturday, its obvious Dantonio would rather not have this distraction at the moment.